Slip and Fall accidents happen to Ontario residents on a daily basis. These events cause various injuries, including broken bones, bruises, and in some cases, brain and spinal cord injuries. If you have been injured as a result of a slip and fall caused by another party’s negligence or other circumstances, it is important to speak to personal injury lawyer immediately to protect your rights. Slip and Fall claims are inherently complex, and shrouded in misconceptions. One commonly-held myth is that an injured person is automatically entitled to compensation from the owner of the property where a fall took place. Be aware, however, that the law limits your time to act and that the at-fault party must be notified within the appropriate time period. This, in fact, can be as short as 10 days. Sometimes it may be difficult to identify the guilty party, especially when disputes between property owners, managers, and maintenance workers emerge. This can delay the claim process, making things even more confusing for injury victims. If you were injured as a result of a slip and fall caused by substandard property maintenance, ice, snow or any other reason, you deserve to be compensated for your injuries. The experts at RPC Law have successfully represented slip and fall injury victims from all over Ontario. We have recovered millions in compensation for victims and their families. 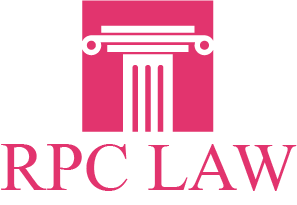 Contact RPC Law for a free, no obligation consultation and put our professional legal team in your corner. We will ensure that you are treated fairly and receive all of the compensation to which you are entitled. Don’t suffer in silence. Call RPC Law in Richmond Hill, Vaughan or Georgetown, and put the top team of personal injury lawyers on the case. We will ensure that justice is served.